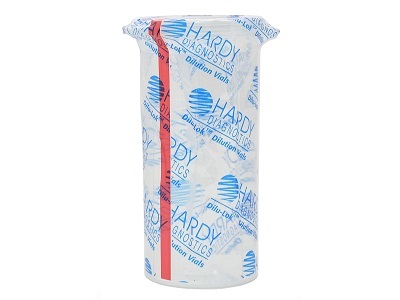 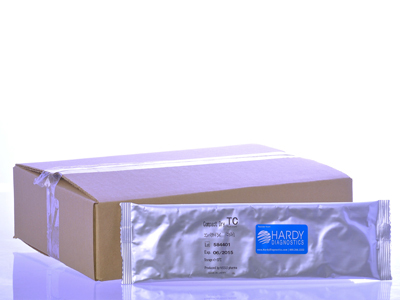 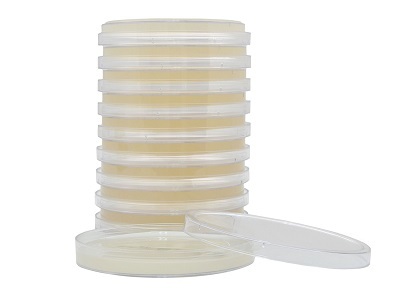 CompactDry™ YMR, Yeast Mold Rapid, 100 trays per box, by Hardy Diagnostics. 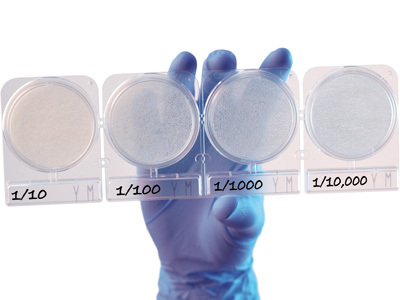 Rapid format provides results in 48-72 hours! 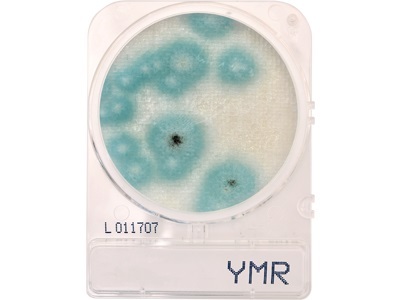 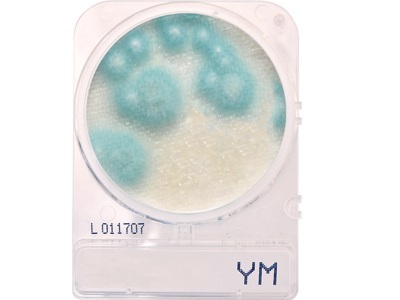 Compact Dry™ YMR, yeasts and mold can be differentiated by color. 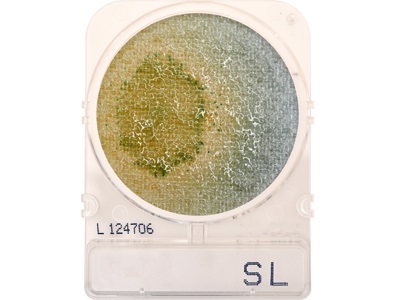 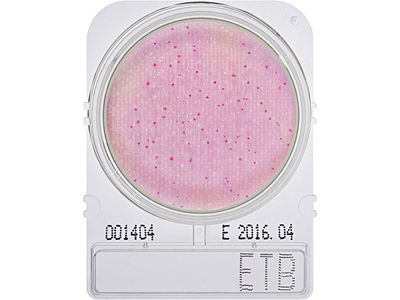 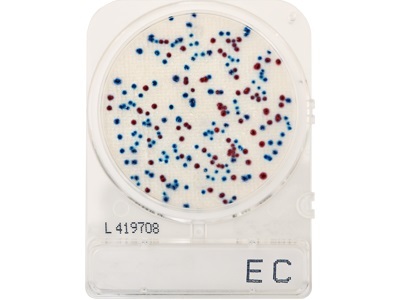 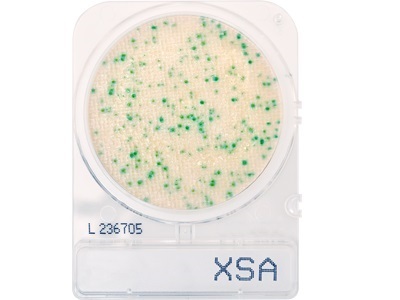 The medium contains the chromogenic enzyme substrate X-Phos which turns blue with most yeasts. 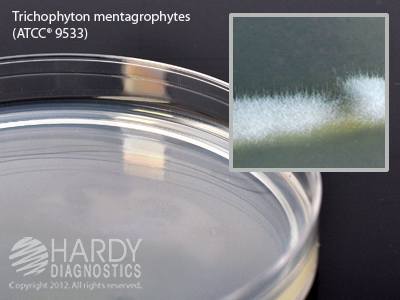 Molds form fluffy colonies with a characteristic color. 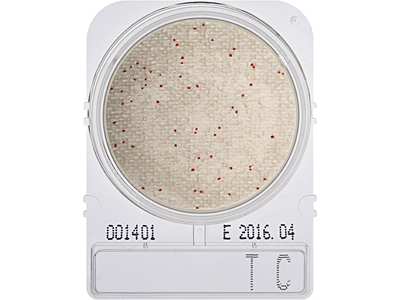 Compact Dry™ YMR AOAC, MicroVal and NordVal approved.